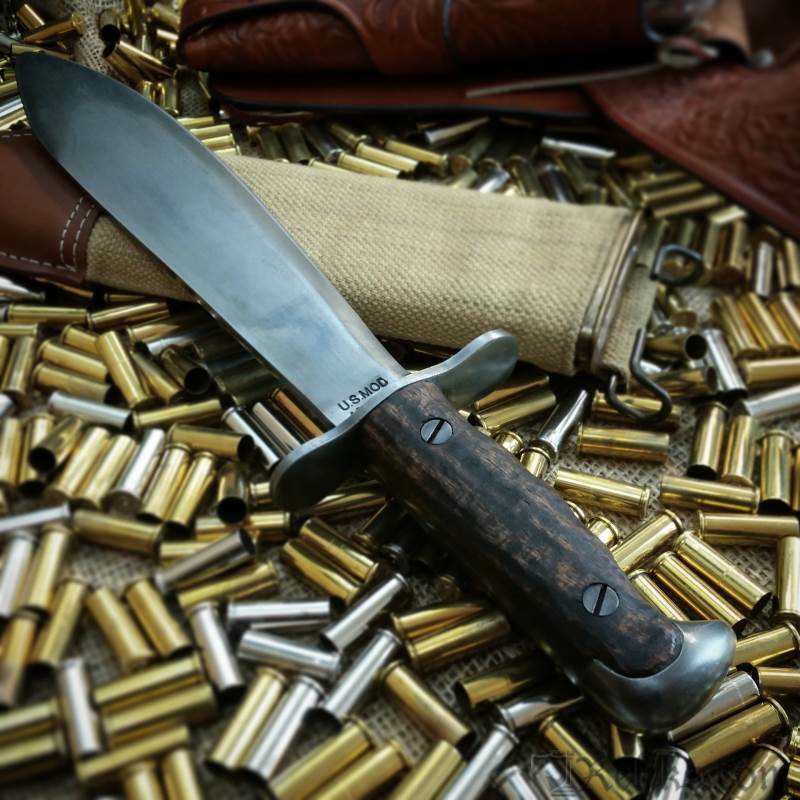 The US military used the same basic bolo knife from the turn of the century through WWII. Manufactured from 1897 to 1918, it went through a number of changes during its production life. First issued to medical personnel in the field it was later issued to fighting troops and used to clear brush, fields of fire and for any task requiring a “chopper”. We have chosen to reproduce the 1917 version that was made in great numbers during 1917 and 1918. 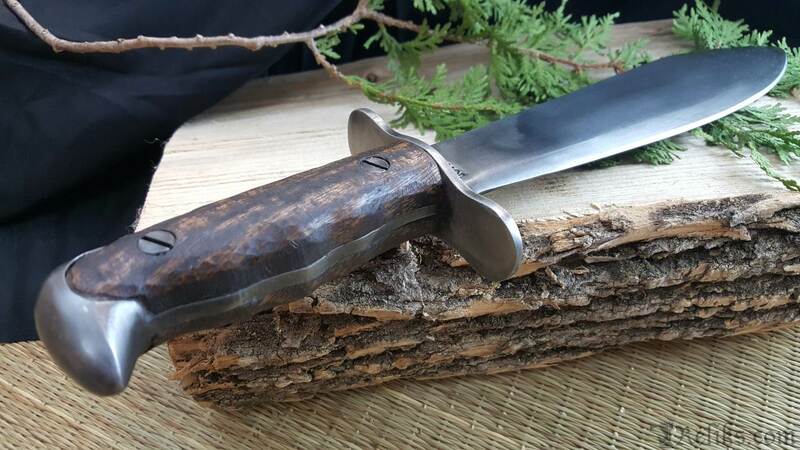 Features a heavy-duty high carbon sharpened steel blade (the reverse edge is sharp for the 1st 2") that’s properly heat treated in a computer controlled kiln. 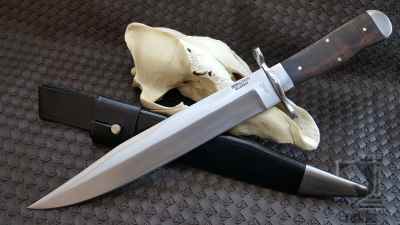 The full tang is integral with the pommel and the dark close-grained wood grips are secured with 2 large bolts. The right side of the blade base is stamped “US MOD 1917 CT” and the left is stamped “PLUMB STLOUIS 1918”. 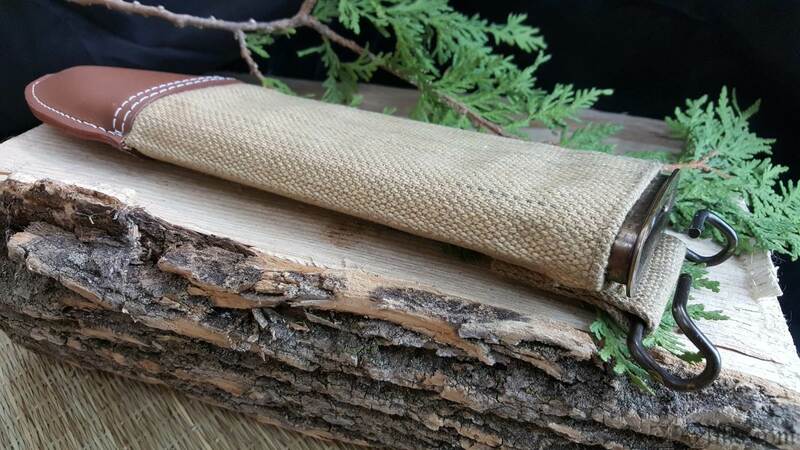 Includes a No 1 style scabbard that includes a 1918 dated makers stamp on the leather tip; it’s covered in heavy canvas with a heavy-duty brass throat and brass belt hanger for use on standard web belts. Made by Windlass Steelcrafts. 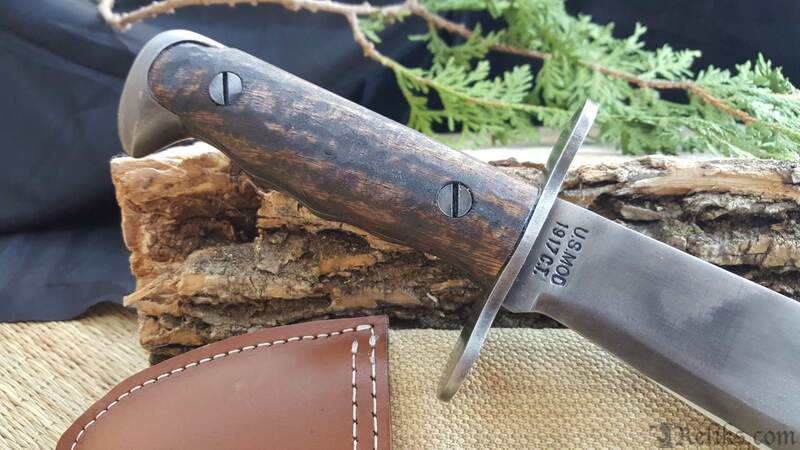 Us Military Bolo Knife - The US Model 1917 Bolo Knife Suitable for Combat and Utility. A Top Contender for your Bug Out Bag! 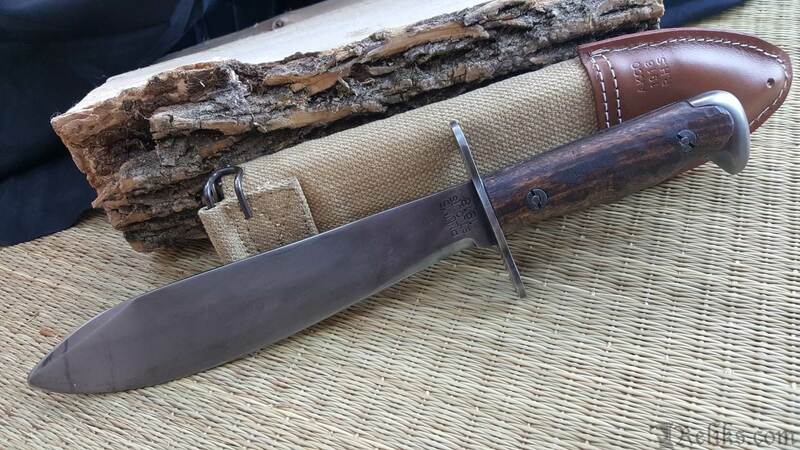 Us Model 1917 Bolo Knife - The US military used the same basic bolo knife from the turn of the century through WWII. Manufactured from 1897 to 1918, it went through a number of changes during its production life. Us Mod 1917 Ct - The right side of the blade base is stamped “US MOD 1917 CT” and the left is stamped “PLUMB STLOUIS 1918”. 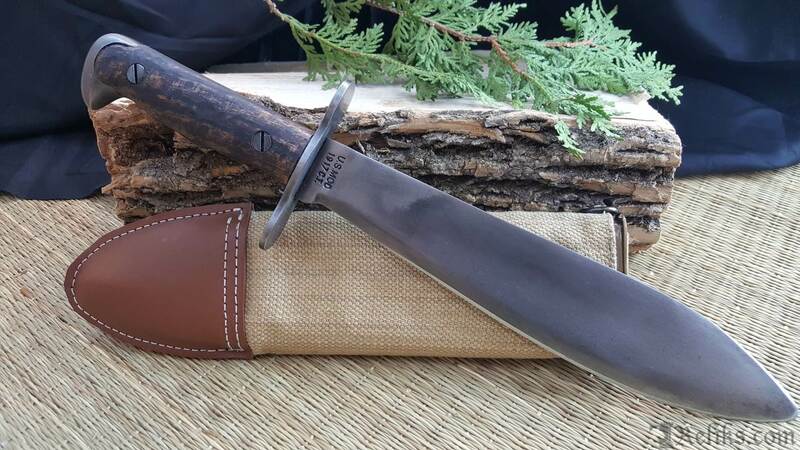 Us 1917 Bolo - Reproduction US military Bolo Knife with scabbard. 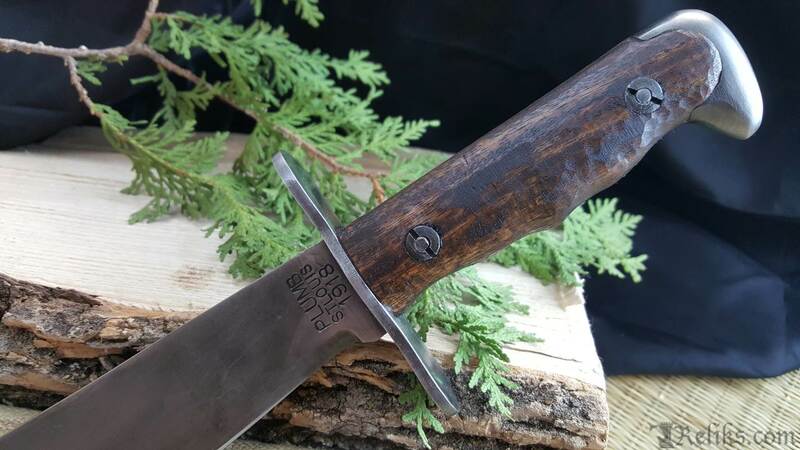 1917 Bolo - Left side of the high carbon steel blade is stamped “PLUMB STLOUIS 1918”. 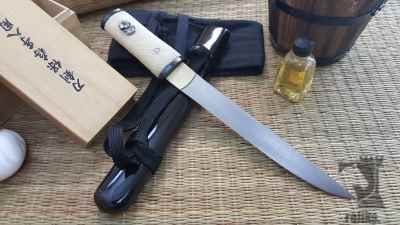 Us Bolo Full Tang - The full tang is integral with the pommel and the dark close-grained wood grips are secured with 2 large bolts. Us Bolo Sheath - Includes a No 1 style scabbard that includes a 1918 dated makers stamp on the leather tip; it’s covered in heavy canvas with a heavy-duty brass throat and brass belt hanger for use on standard web belts.